Can you identify these pictures of Knights that a cousin sent me? The pictures were not labeled. Any clues? 1. WILLIELMO1 KNYGHT was born 1325 in Worcester, England. , Knight, James A., III, Knyght after Knyght . The surname Knight is derived from the Saxon word cniht, which means servant. In ancient times, a king would bestow the title of honor o f Knight upon such servants as he chose to single out from the common class of gentlemen. Knights have become legendary figures in England for their warrior feats and daring adventures. Various orders of Knighthood exist in most European nations. The most notable in England are the Knights of St.George, commonly called Knights of the most noble order of the Garter. Knight was a common surname in some parts of England by the seventeenth century. A Sir John Knight was Mayor of Bristol in 1663.Several years later, another John Knight appeared a s vicar of Banbury. WILLIELMO KNYGHT, de Bradley paid eight shillings for the fifth part of knight's fee i n the Hundred of Oswldelow in 1346 according to the Lay Subsidies of Worcester. i. RICHARD2 KNIGHT, b. Nottingham, County Surrey, England. ii. JOHANNES KNIGHT, b. Nottingham, County Surrey, England. 2. iii. RALPH KNIGHT, b. 1350, Nottingham, County Surrey, England. 2. RALPH2 KNIGHT (WILLIELMO1 KNYGHT) was born 1350 in Nottingham, County Surrey, England. i. JOHANNES3 KNIGHT, b. Nottingham, County Surrey, England; m. JOHANNA. 3. ii. WILLIAM KNIGHT, b. 1380, Effyngham, County Surrey, England. 3. WILLIAM3 KNIGHT (RALPH2, WILLIELMO1 KNYGHT) was born 1380 in Effyngham, County Surrey, England. 4. i. WILLIAM4 KNIGHT, b. Abt. 1410, Worcester, England; d. 1498. 4. WILLIAM4 KNIGHT (WILLIAM3, RALPH2, WILLIELMO1 KNYGHT) was born Abt. 1410 in Worcester, England, and died 1498. He married ELEANOR IWARDLY, daughter of JOHANNES IWARDLY. 5. i. JOHN5 KNIGHT, b. 1440, Lingfield, Co. Surrey, England. 5. JOHN5 KNIGHT (WILLIAM4, WILLIAM3, RALPH2, WILLIELMO1 KNYGHT) was born 1440 in Lingfield, Co. Surrey, England. He married MARGARET WHARTON, daughter of GEORGE WHARTON. i. RICHARD6 KNIGHT, d. 1571. 6. ii. JOHN KNIGHT, b. 1490, Lingfield, Co. Surrey, England; d. 1581. 6. JOHN6 KNIGHT (JOHN5, WILLIAM4, WILLIAM3, RALPH2, WILLIELMO1 KNYGHT) was born 1490 in Lingfield, Co. Surrey, England, and died 1581. He married ELIZABETH SMYTHES. 7. i. GEORGE7 KNIGHT, b. 1510, Lingfield, Co. Surrey, England; d. 1596. 7. GEORGE7 KNIGHT (JOHN6, JOHN5, WILLIAM4, WILLIAM3, RALPH2, WILLIELMO1 KNYGHT) was born 1510 in Lingfield, Co. Surrey, England, and died 1596. He married ALICE BROWN, daughter of RICHARD BROWN. i. MATTHEW8 KNIGHT, m. AGNES. 8. ii. RICHARD KNIGHT, d. Eastrington, Co. Gloucester, England. iii. ROBERT KNIGHT, b. 1533; d. Wotton, Co. Surrey, England. iv. NICHOLAS KNIGHT, b. 1538, Gloucester County, England; m. ELYN BRADSHAW, February 09, 1559/60. 9. v. JOHN KNIGHT, b. 1540, Lingfield, County Surrey, England; d. October 26, 1611, Cowden, England. 8. RICHARD8 KNIGHT (GEORGE7, JOHN6, JOHN5, WILLIAM4, WILLIAM3, RALPH2, WILLIELMO1 KNYGHT) died in Eastrington, Co. Gloucester, England. 9. JOHN8 KNIGHT (GEORGE7, JOHN6, JOHN5, WILLIAM4, WILLIAM3, RALPH2, WILLIELMO1 KNYGHT) was born 1540 in Lingfield, County Surrey, England, and died October 26, 1611 in Cowden, England. He married (1) SILVESTER BERDE. He married (2) ISABEL SAXBIE May 04, 1567.
i. ALEXANDER9 KNIGHT, d. Worcester, England. ii. PHILIP KNIGHT, d. Worcester, England. iii. MATTHEW KNIGHT, b. Worcester, England. iv. HENRY KNIGHT, d. 1639, Gloucester County, England; m. ALICE. v. FRANCIS KNIGHT, d. August 1616, Bristol England; m. ALDWORTH. 10. vi. JOHN KNIGHT, b. October 14, 1576, in Lingfield, Surrey, England. 10. JOHN9 KNIGHT (JOHN8, GEORGE7, JOHN6, JOHN5, WILLIAM4, WILLIAM3, RALPH2, WILLIELMO1 KNYGHT) was born October 14, 1576 in in Lingfield, Surrey, England. He married (1) ELIZABETH WILLIS. He married (2) ELIZABETH WILLIS 1590. 11. i. EDWARD10 KNIGHT, b. 1590, in Lingfield, Surrey, England. 12. vi. THOMAS KNIGHT, b. Gloucester County, England. 11. EDWARD10 KNIGHT (JOHN9, JOHN8, GEORGE7, JOHN6, JOHN5, WILLIAM4, WILLIAM3, RALPH2, WILLIELMO1 KNYGHT) was born 1590 in in Lingfield, Surrey, England. He married ALICE DIMERY May 19, 1611 in in Lingfield, Surrey, England. 13. v. GILES KNIGHT, b. Abt. 1653, Gloucestershire, England; d. in ByBerry Phila Co. Pa.
12. THOMAS10 KNIGHT (JOHN9, JOHN8, GEORGE7, JOHN6, JOHN5, WILLIAM4, WILLIAM3, RALPH2, WILLIELMO1 KNYGHT) was born in Gloucester County, England. He married ALICE OSBORNE October 20, 1617.
i. THOMAS11 KNIGHT, m. ELIZABETH HURNE, May 06, 1649. 13. GILES11 KNIGHT (EDWARD10, JOHN9, JOHN8, GEORGE7, JOHN6, JOHN5, WILLIAM4, WILLIAM3, RALPH2, WILLIELMO1 KNYGHT) was born Abt. 1653 in Gloucestershire, England, and died in in ByBerry Phila Co. Pa. 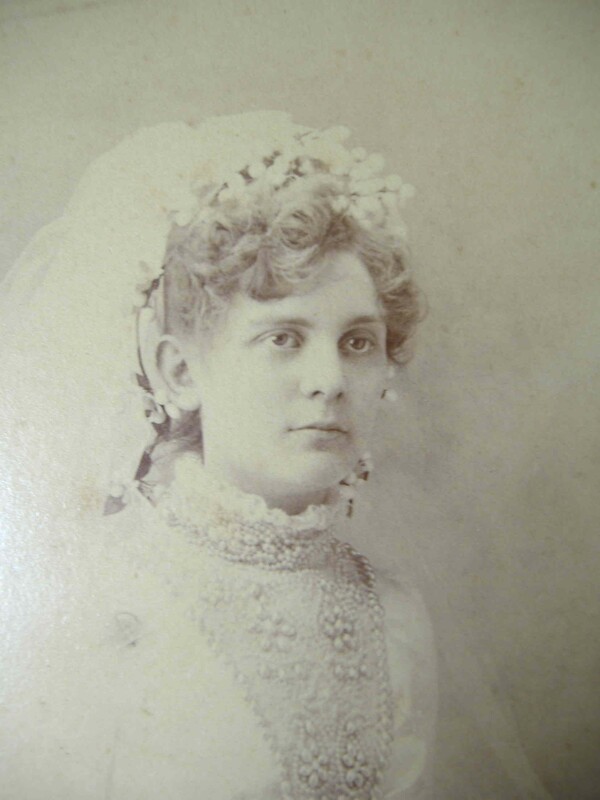 He married (1) ELIZABETH WILLIAMS. He married (2) ELIZABETH PAYNE, daughter of GEORGE PAYNE. 14. i. ABEL12 KNIGHT, b. 1640, Gloucestershire, England; d. Bucks County, Pennsylvania. 14. ABEL12 KNIGHT (GILES11, EDWARD10, JOHN9, JOHN8, GEORGE7, JOHN6, JOHN5, WILLIAM4, WILLIAM3, RALPH2, WILLIELMO1 KNYGHT) was born 1640 in Gloucestershire, England, and died in Bucks County, Pennsylvania. 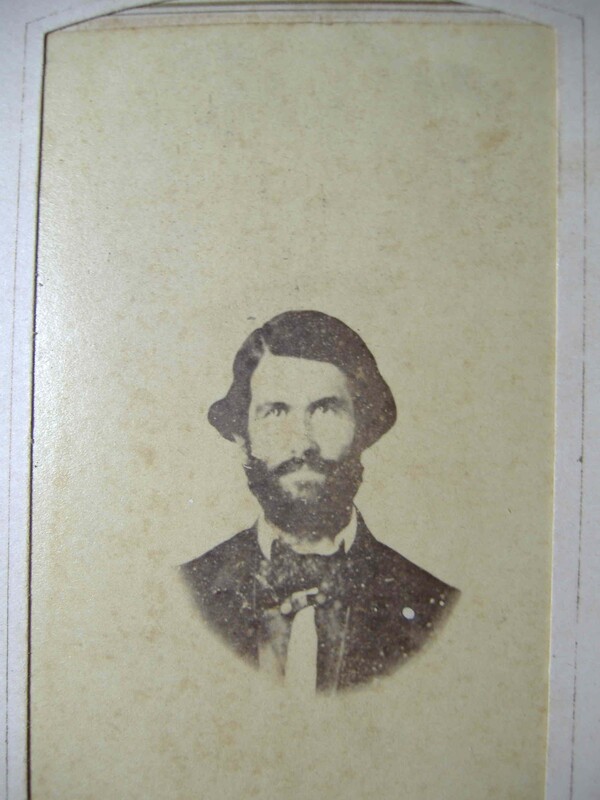 He married BROWN, daughter of JOHN BROWN and MARY FOSTER. John Knight and his sister Ann came to America with William Penn arrivingon the "Society" i n Aughst, 1682. Their brothers Abel and Giles came onthe "Welcome" which left England Augus t 30, 1682 and arrived at NewCastle on the Delaware the second week of November. Giles wasac companied on the voyage by his wife Mary English and son, Joseph Knight. Brothers Abel and John were not listed as supporters (of the friends ofByuberry). Perhaps i t was this religious rift which prompted Abel Knightto relocate to North Carolina. 15. i. JOHN13 KNIGHT, b. Abt. 1668. 15. JOHN13 KNIGHT (ABEL12, GILES11, EDWARD10, JOHN9, JOHN8, GEORGE7, JOHN6, JOHN5, WILLIAM4, WILLIAM3, RALPH2, WILLIELMO1 KNYGHT) was born Abt. 1668. Title: "History And Family Tree Of John Knight, R.S. And His Son, Jonathan,In South Georgia A nd Florida" By: W. Taylor Knight, 1108 Linda Drive,Valdosta, GeNote: History And Family Tre e Of John Knight, R.S. 16. i. JOHN14 KNIGHT , XIII, b. North Carolina; d. February 18, 1762, Sussex County, Virginia. iii. WILLIAM KNIGHT, b. 1690, Bertie County, North Carolina; d. December 03, 1751, Bertie County, North Carolina; m. MARTHA. 16. JOHN14 KNIGHT , XIII (JOHN13, ABEL12, GILES11, EDWARD10, JOHN9, JOHN8, GEORGE7, JOHN6, JOHN5, WILLIAM4, WILLIAM3, RALPH2, WILLIELMO1 KNYGHT) was born in North Carolina, and died February 18, 1762 in Sussex County, Virginia. He married ELIZABETH EPPS Abt. 1729 in in Albemarle Parish, Sussex Co, VA, daughter of DANIEL EPPS and MARY JORDAN. 17. vii. PETER KNIGHT III, b. January 08, 1738/39; d. May 09, 1809. 17. PETER15 KNIGHT III (JOHN14, JOHN13, ABEL12, GILES11, EDWARD10, JOHN9, JOHN8, GEORGE7, JOHN6, JOHN5, WILLIAM4, WILLIAM3, RALPH2, WILLIELMO1 KNYGHT) was born January 08, 1738/39, and died May 09, 1809. He married BELL ANN Abt. 1729 in in Albemarle Parish, Sussex Co, VA, daughter of ARTHUR BELL. 19. iv. 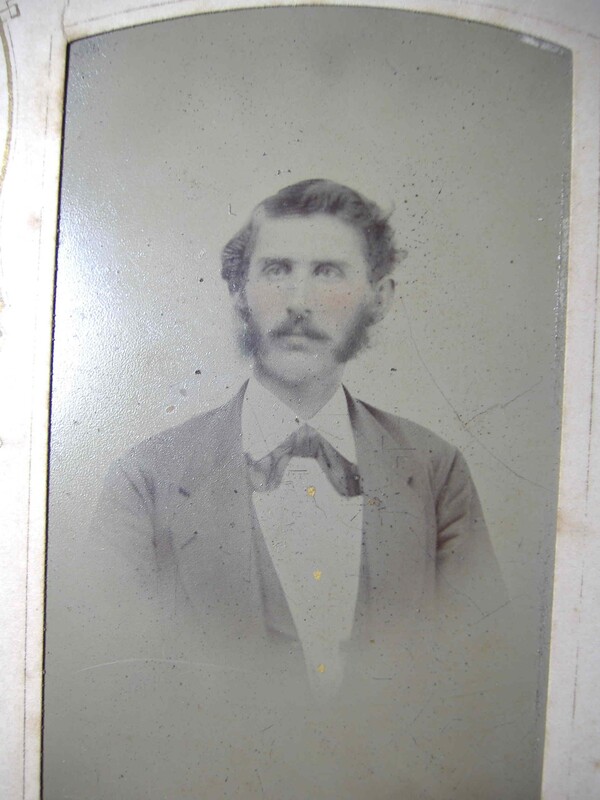 WILLIS KNIGHT, d. July 22, 1845. 20. v. CHARLES KNIGHT, d. October 19, 1786. 22. ix. JESSE KNIGHT, b. Abt. 1780; d. December 16, 1815, Edgecombe County, S.C..
18. JOHN16 KNIGHT (PETER15, JOHN14, JOHN13, ABEL12, GILES11, EDWARD10, JOHN9, JOHN8, GEORGE7, JOHN6, JOHN5, WILLIAM4, WILLIAM3, RALPH2, WILLIELMO1 KNYGHT). He married ELIZABETH. 19. WILLIS16 KNIGHT (PETER15, JOHN14, JOHN13, ABEL12, GILES11, EDWARD10, JOHN9, JOHN8, GEORGE7, JOHN6, JOHN5, WILLIAM4, WILLIAM3, RALPH2, WILLIELMO1 KNYGHT) died July 22, 1845. He married POLLY. 20. CHARLES16 KNIGHT (PETER15, JOHN14, JOHN13, ABEL12, GILES11, EDWARD10, JOHN9, JOHN8, GEORGE7, JOHN6, JOHN5, WILLIAM4, WILLIAM3, RALPH2, WILLIELMO1 KNYGHT) died October 19, 1786. He married MARY MALLORY. i. TEMPERENCE17 KNIGHT, b. September 27, 1773; m. JAMES DANIEL. 21. MARY16 KNIGHT (PETER15, JOHN14, JOHN13, ABEL12, GILES11, EDWARD10, JOHN9, JOHN8, GEORGE7, JOHN6, JOHN5, WILLIAM4, WILLIAM3, RALPH2, WILLIELMO1 KNYGHT). She married LAWRENCE. 22. JESSE16 KNIGHT (PETER15, JOHN14, JOHN13, ABEL12, GILES11, EDWARD10, JOHN9, JOHN8, GEORGE7, JOHN6, JOHN5, WILLIAM4, WILLIAM3, RALPH2, WILLIELMO1 KNYGHT) was born Abt. 1780, and died December 16, 1815 in Edgecombe County, S.C.. He married COBB MARY Abt. 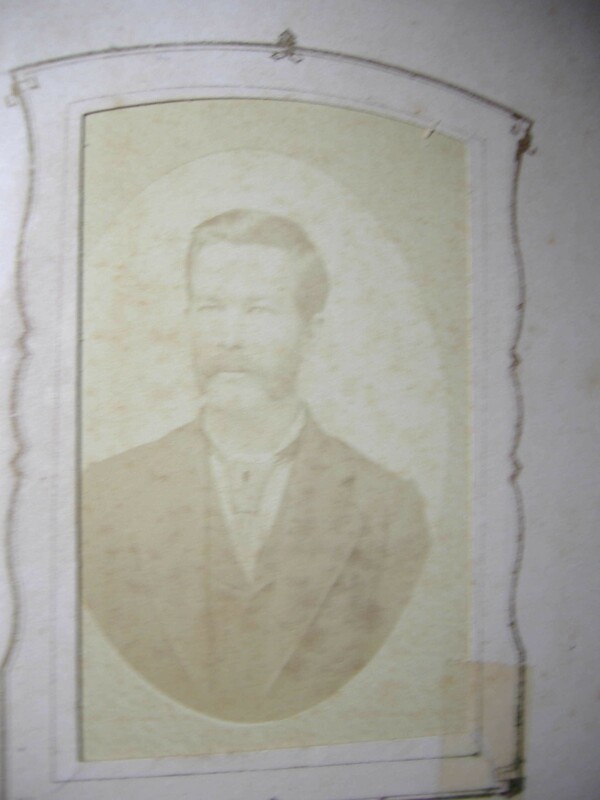 1800.
i. ARTHUR17 KNIGHT, d. February 07, 1834. 24. xii. EDWIN KNIGHT, b. December 10, 1805, Edgecombe County, S.C.; d. January 29, 1852, Monterey, Bullar (Butler) Co., Mount Moriah Cemetery, Alabama. 23. JOSHUA17 LAWRENCE (MARY16 KNIGHT, PETER15, JOHN14, JOHN13, ABEL12, GILES11, EDWARD10, JOHN9, JOHN8, GEORGE7, JOHN6, JOHN5, WILLIAM4, WILLIAM3, RALPH2, WILLIELMO1 KNYGHT). 24. EDWIN17 KNIGHT (JESSE16, PETER15, JOHN14, JOHN13, ABEL12, GILES11, EDWARD10, JOHN9, JOHN8, GEORGE7, JOHN6, JOHN5, WILLIAM4, WILLIAM3, RALPH2, WILLIELMO1 KNYGHT) was born December 10, 1805 in Edgecombe County, S.C., and died January 29, 1852 in Monterey, Bullar (Butler) Co., Mount Moriah Cemetery, Alabama. He married MARTHA WATSON, daughter of SCOTT. 27. ix. 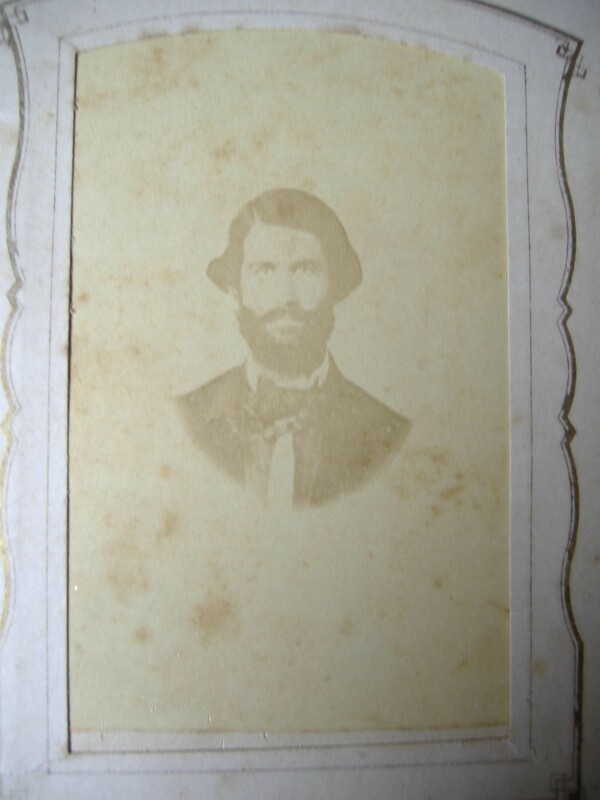 LEWIS JACKSON KNIGHT, b. August 19, 1829, Monterey, Butler Co., Alabama; d. August 11, 1863, Monterey, Mount Moriah Cemetery, Butler County, Alabama. 25. JENE18 KNIGHT (EDWIN17, JESSE16, PETER15, JOHN14, JOHN13, ABEL12, GILES11, EDWARD10, JOHN9, JOHN8, GEORGE7, JOHN6, JOHN5, WILLIAM4, WILLIAM3, RALPH2, WILLIELMO1 KNYGHT). He married BETTY SCOTT. 26. COMER18 KNIGHT (EDWIN17, JESSE16, PETER15, JOHN14, JOHN13, ABEL12, GILES11, EDWARD10, JOHN9, JOHN8, GEORGE7, JOHN6, JOHN5, WILLIAM4, WILLIAM3, RALPH2, WILLIELMO1 KNYGHT). He married LAURA POSEY. 27. LEWIS JACKSON18 KNIGHT (EDWIN17, JESSE16, PETER15, JOHN14, JOHN13, ABEL12, GILES11, EDWARD10, JOHN9, JOHN8, GEORGE7, JOHN6, JOHN5, WILLIAM4, WILLIAM3, RALPH2, WILLIELMO1 KNYGHT) was born August 19, 1829 in Monterey, Butler Co., Alabama, and died August 11, 1863 in Monterey, Mount Moriah Cemetery, Butler County, Alabama. He married CATHERINE PALMER, daughter of STEPHEN PALMER and JULIET HARTWELL. Among the other families most conspicuous in Monterey's earliest history,are the families o f Billy Powell, who was the father of J. L. Powell, now of Greenville, William Traweek and Jesse Knight. There was a considerable amount of whisky sold at this place before thewar, and the village b ore the reputation of being one of the rowdiest places in the whole section of the country. Th is was caused from the fact that a great many of the young men, then living in the vicinity of Monterey, would come over and get under the influence of whisky, and inthis state, they often had difficulties with persons in whose company they happened to be. In those days, it was n o uncommon thing for a man to be cut all to pieces in a fight at Monterey. However, there wer e not many lives lost compared to the number of fights. Horse-racing, cockfighting, and amusements of a similar nature, were frequently indulged in, and many hundreds were spent in gambling and betting. Allthis was done in the "flush times of Alabama," before the country wasdrain ed of its money by the war between the States. The fight between Joe Yeldell and Dr. James Longmire threw a damper onrowdyism at Monterey, w hich lasted for some time. Joe Yeldell was killedby Dr. Longmire, and the latter was cleare d in the courts for the deed. The murder of Richard Hartsfield, by two slaves in 1862, created moreexcitement among the peo ple of the surrounding country than anything thatever happened at Monterey, before or since. The following are the facts of the case: Richard Hartsfield was amechanic, and ranked high a mong the people who knew him as a man of honorand integrity, and was a first-class contractor . He was born in theState of Georgi, April 28, 1830, and was killed on the morning ofFebruar y 10, 1862. He purchased two slaves, Simon and Lewis, from thePeaster Estate. These slave s soon began to hate their master, andaccordingly began to make plots to kill him. Their pla ns were executedon a bright, frosty morning in February, 1862. Their master gave ordersto ha ve some hogs killed, which had been fattened in some hogs killed,which had been fattened i n a pen near a spring, about two hundred yardsfrom the residence. Mr. Hartsfield came down t o the spring to shoot thehogs for the Negroes, but found that the water was not not enough to scald, and he began to stir up the fire around the cattle. WhileHartsfield was stooping down , punching the fire, Lewis struck him with anax, crushing his skull. Simon struck him wit h a fence rail, andterminated his life immediately. ONe of the negrods then ran to thehouse , asked their mistress for their master's horse, telling her thatthe hogs had broken out of t he pen and the horse was needed to get himback. The horse was saddled and brought to the spr ing. It was theintention of Simon and Lewis to put their dead master on the wild horse,fix o ne of his feet tightly in one stirrup, and turn the horse loose, andsay that he was thrown an d killed. The animal was a fine, ambitious bay,and had only been managed by his master, an d emphatically resisted allattempts to place the dead man upon him. The heartless murderers, failing in this part of their plot, smeared a small stump with blood, anddragged their maste r from it some distance, and left him lying dead.They then turned loose the enraged horse, wh ich ram many miles, snortingand looking back as if pursued, and seemingly greatly frightened . Theyimmediately informed their mistress of the deatn of their master, tellingher that he w as thrown from his horse, and his foot was caught in onestirrup, and was dragged some distanc e before it was released. Thefrightened horse, with gloody saddle, stopping and snorting a t everyhouse on the road, and instantly galloping on, showed the people thatsomething terribl e had happened, and every man thus informed immediatelyrepaired to the bloody scene. When th e neighbors saw blood on Simon'sshirt; that the hogs were never killed; that there ws blood o n the sddle;they immediately saw through the whole plot, and had the murderers arrested. Aft r the burial of Mr. Hartsfield, at which every person fourteen miles around was present, T.M.B . Traweek, Justice of the Peace, called a preliminary trial of the case, and, from the evidences brought forth, found the negroes guilty, and ordered them to be carried to jail, at Greenvill e, the next morning. Lewis Knight, a prominent in the neighborhood, made a touching speech to the excited assembly, and ended by saying, that "all those in favor of burning these bloodthirsty devils, will step on the opposite side of the road." Every man immediately stepped on the other side of the road, except the Justice of the Peace and the four men who had been appointed to carry the prisoners to jail. Those in favor of burning the murders then resolved themselves into a mob and adjourned, to meet next morning at the post-office before sunrise. Next morning long before the appointed time of meeting, the little village was astir with excitement, and the streets were thronged with the enraged mob, bent on the destruction of the helpless prisoners. After some delays, the mob marched up the Greenville road, about three-quarters of a mile from the post-office and stopped on a small hill. Here they waited several hours for the victims of their wrath to pass on their way to Greenville. Finally they came. They were take n from their guard, and locked with chains to two pines, standing close together. Pine knots were collected from every direction and piled round the trees. The mob had, but this time, increased to over one thousand persons. Everything being ready, the torch was applied, and the angry flames soon licked the tops of the trees. It is said that a fire never burned more energetically, and flames never leaped more triumphantly, than in the burning of these two murderers . Shortly before the burning, Simon confessed the deed, and related the details of the murder , but Lewis never did confess it. 34. i. NAPOLEON O.19 KNIGHT, b. 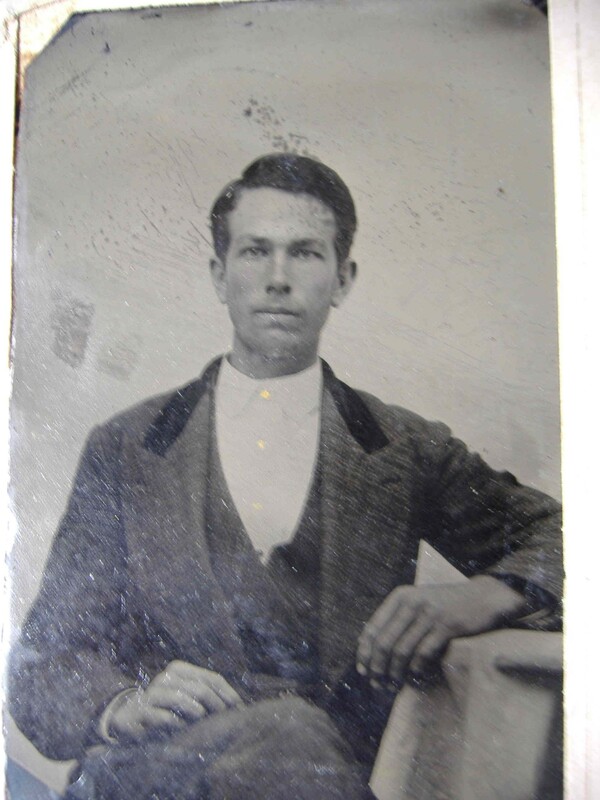 May 14, 1856, Monterey, Alabama; d. September 02, 1941, Furman, Alabama Wilcox County. ii. TULU KNIGHT, m. WILL LUCAS. iii. ESTELLE KNIGHT, b. September 16, 1854. 35. v. CONRAD W. KNIGHT, b. October 25, 1860; d. September 13, 1891. 28. JOHN19 KNIGHT (JENE18, EDWIN17, JESSE16, PETER15, JOHN14, JOHN13, ABEL12, GILES11, EDWARD10, JOHN9, JOHN8, GEORGE7, JOHN6, JOHN5, WILLIAM4, WILLIAM3, RALPH2, WILLIELMO1 KNYGHT). He married (1) EMMA WATSON. He married (2) EMMA WATSON, daughter of WILLIAM WATSON and ELIZABETH MCWHORTER. i. JESSIE20 KNIGHT, m. FRANK ATKINS. 29. LON19 KNIGHT (JENE18, EDWIN17, JESSE16, PETER15, JOHN14, JOHN13, ABEL12, GILES11, EDWARD10, JOHN9, JOHN8, GEORGE7, JOHN6, JOHN5, WILLIAM4, WILLIAM3, RALPH2, WILLIELMO1 KNYGHT). He married MOLLIE WRIGHT. 30. MATTIE19 KNIGHT (JENE18, EDWIN17, JESSE16, PETER15, JOHN14, JOHN13, ABEL12, GILES11, EDWARD10, JOHN9, JOHN8, GEORGE7, JOHN6, JOHN5, WILLIAM4, WILLIAM3, RALPH2, WILLIELMO1 KNYGHT). She married RICHARD STANFORD. 31. AGGIE19 KNIGHT (JENE18, EDWIN17, JESSE16, PETER15, JOHN14, JOHN13, ABEL12, GILES11, EDWARD10, JOHN9, JOHN8, GEORGE7, JOHN6, JOHN5, WILLIAM4, WILLIAM3, RALPH2, WILLIELMO1 KNYGHT). She married TOM GRIMES. 32. EANIE19 KNIGHT (JENE18, EDWIN17, JESSE16, PETER15, JOHN14, JOHN13, ABEL12, GILES11, EDWARD10, JOHN9, JOHN8, GEORGE7, JOHN6, JOHN5, WILLIAM4, WILLIAM3, RALPH2, WILLIELMO1 KNYGHT). She married JIM COGGINS. 33. JULIA19 KNIGHT (COMER18, EDWIN17, JESSE16, PETER15, JOHN14, JOHN13, ABEL12, GILES11, EDWARD10, JOHN9, JOHN8, GEORGE7, JOHN6, JOHN5, WILLIAM4, WILLIAM3, RALPH2, WILLIELMO1 KNYGHT). She married T. WATTS. 34. NAPOLEON O.19 KNIGHT (LEWIS JACKSON18, EDWIN17, JESSE16, PETER15, JOHN14, JOHN13, ABEL12, GILES11, EDWARD10, JOHN9, JOHN8, GEORGE7, JOHN6, JOHN5, WILLIAM4, WILLIAM3, RALPH2, WILLIELMO1 KNYGHT) was born May 14, 1856 in Monterey, Alabama, and died September 02, 1941 in Furman, Alabama Wilcox County. 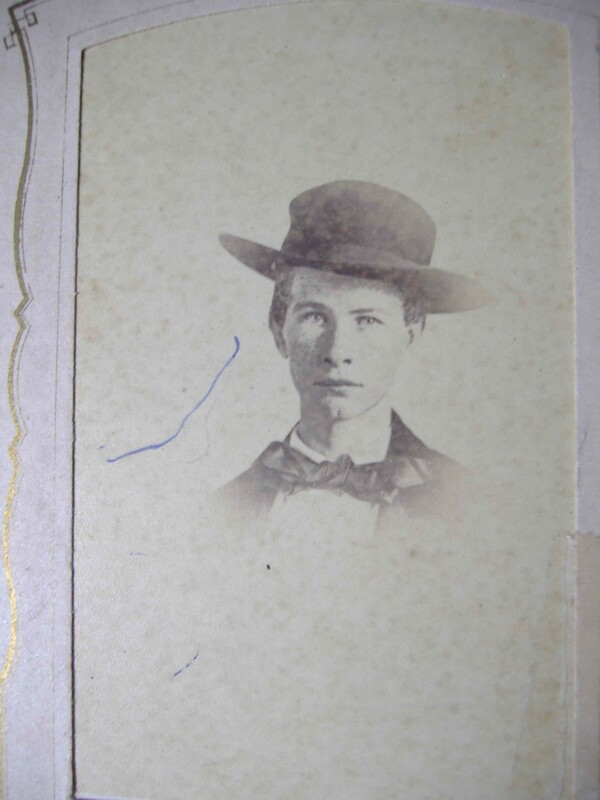 He married MARGARET LUCY WATSON October 1879 in Furman, Alabama Wilcox County, daughter of WILLIAM WATSON and ELIZABETH MCWHORTER. Family says grandson Thomas is living duplicate of grandpa "Leon" Thomas is about 5 feet 5 or 6 inches, slender build, completely white hair, blue eyes, soft spoken and quiet personality with an obvious peaceful expression. i. ELIZABETH JANE20 KNIGHT, b. August 27, 1883, Furman, Wilcox County, Alabama; d. 1968, Furman, Wilcox County, Alabama, buried in Palmer Cemetery; m. ELKANAH GEORGE BURSON , DR., February 20, 1914, Selma, Alabama. "I told Ellie ya'll were coming," she said as in turn she greeted each of us with a hug. Her ice blue eyes warmed with the smile which welcomed us. The long black dress and lace up shoes lent a quiet dignity to the tall lady that was my father's mother standing at the top of a steep hill of stairs. The cameo which held her lace fichu in place scratched me when I reached up to hug my grandmother. I felt strangely guilty that somehow the affection that I expended on this grandmother robbed my other grandmother. My other grandmother, widowed, living on a pension and money from my mother while this grandmother lived in a grand house with Austrian chandeliers and rooms so filled with valuables that the doors were shut to protect them from small children. I did not realize how hard won those treasures had been. Mother smiled and winked. She'd predicted those words as we drove down the rutted road and through the gate above which hung a sign grandly pronouncing "Wakefield." "How much longer?" my sister and I had asked every five minutes since we'd left the bus stop in Greenville and our breakfast of greasy hamburgers and french fries. We'd fought for the crack in the window for a breath of fresh air and relief from the speeding cloud of smoke in which we rode. The white picket fence that curved along the front lawn of the Hawthorne House in Pine Apple alerted us that shortly down that winding road upon our left we'd spot the white plantation house up on the hill just beyond the next curve. The next curve? How about that next curve? Gravel splattered as my father spun into the driveway in that year's model Cadillac. And sure enough as Mother said, there stood Nanny waiting on the back porch at the top of the high brick stairs. The double doors opened and Papa emerged with Eliece close behind. "Somehow your mother knew you were coming," he said, stiffly embracing Daddy. Daddy had to lean down to hug his father and have the wet kiss that planted upon his cheek that we all received in turn. Doctors both,t hey wore the uniform of a professional, a suit and tie. It was only when leukemia weakened hi m and I saw him last in University Hospital in Birmingham dying of leukemia, that I ever saw m y grandfather in anything but sartorial splendor. Following his example, my father even washed cars in his suit. Elliece, my father's older sister, welcomed us as well, though the smile on her lips never reached her eyes and you could almost see the sparks when she greeted my mother with the proper words. Mother responded in kind. Following behind, like a loyal hunting dog, came her second husband, pipe in hand, gravelly voice urging, "Come on in, the gas is on and the cold air is coming in." We all trooped down the echoing hall of ebony stained wood, past the eleven foot hall mirror and antique vases into my grandmother's bedroom sitting room. There I climbed the stairs to the tester bed with the bold burgandy sunburst canopy, crawled over the Sunday funnies, and collapsed with the headache that long ride with mother and daddy smoking always produced. Sylvia, my sister , joined me. A cluster of rocking chairs were gathered at the foot of the bed in front of the fireplace an d TV set. Nanny's chair had gold velvet cushions. To Nanny's displeasure, everyone smoked, but the ceiilings were so high and the air so cold, that the air in that room remained refreshing. Listening to the adults talk land, timber and cows, and watching the columns of smoke parry and thrust as it rose to the ceiling, I dozed off and the headache eased. Soon the women headed to the kitchen where Nanny supervised Dorothy and the preparation for the feast in the formal dining room. Someone set the huge mahogany table with white gold rimmed china, silver (two forks, soup and tea spoons) in addition to a knife and place spoon), line n napkins and fragile etched crystal (tea and water glasses). The brocade curtains and huge oaks blocked the sunlight and the room was always dark. Dinner always began with Nanny's soup made from chicken stock with noodles and tomatoes and progressed to stuffed chicken and roast , cranberry sauce, thick gravy, dumplings turnips that Nanny had picked from her garden early t hat morning, buttermilk corn bread, and tea sweet as syrup. By the time the cake came from the breakfast room to top it off there was little room left, but no one let that stop them. On warm days we'd head out to the wide verandah on the first floor beneath the verandah on the second floor. Green painted lattice framed the two. Sitting in the wooden rockers, we'd drink cold Coca Cola out of little bottles they'd stocked up on at their weekly trip to Selma last Friday. Over the years as scarce money had come, depression years, a time when doctors had been paid frequently in produce, he'd invested it in land. Nanny picked pecans for extra money and carried water from a stream behind the house. Finally Miss Laura Gulley agreed to sell in return for being taken care of in her old age. The demise of the ancient lady occurred after my father went off to college. Then Papa and Nanny went to New Orleans and Savannah and from the anti que shops selected a rare collection of furnishings that only later came to be appreciated. This must have been a busy time of life for my grandmother. My father got homesick at the University and almost before my grandmother could get home, he'd show up on the doorstep. Finally she went to stay with him and give him time to acclimate to college life. But, when she cam e home, he followed. He got a job driving a truck. It only took one hot Saturday unloading tin to make him decide college was for him. 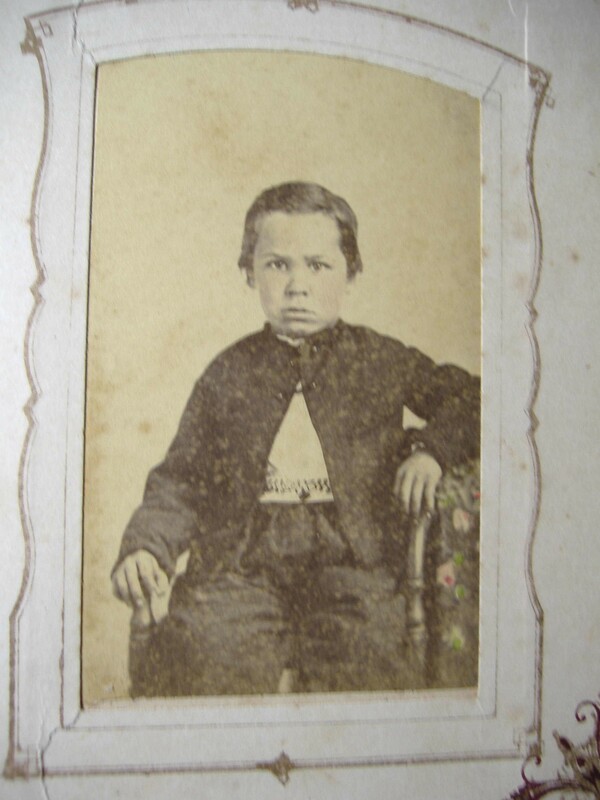 The one room school house prepared him well and he did not have to take any remedial courses . Only German gave him trouble. When my father asked the German professor for a reference t o medical school, he was wise enough to read the document before sending it on. "Mr. Burson is by no means an excellent student," he read. That reference was disposed of quickly. The University of Alabama Medical School rejected him, but he was accepted at Tulane and finished school there. Elliece attended the University of Alabama only long enough to go through rush and elope wit h the F. Scott Fitzgerald of Wilcox County, Claude Williams, a traveling salesman. This tumultuous relationship produced many weekend parties, drunken sprees and fearful nights hiding from a husband waving a gun, one son and ended in divorce. During this time Nanny nearly raised Sonny, Elliece's son. My sister, brother and I were children of later life. My father had finished medical school and served the Army in the Pacific before he met my mother at Walter Reed Medical Hospital in Augusta, Georgia, where that green-eyed Army nurse from Brewton, Alabama captivated the Wilcox County country boy known by his fraternity brothers at Sigma Chi as "Dude." Nanny was old before I knew her. Elliece was her father's pet, spoiled and arrogant with tall , elegant good looks. She considered herself a Burson, a cut above the Knights from which he r mother came. Ironically,in tracing the geneaology through which Elliece entered the United Daughters of the Confederacy, Daughters of the Revolution, and Colonial Dames, I discovered t hat it is through Nanny's line that we are descended from William the Conqueror and Charlemagne, and are eligible for Magna Carta Dames, knowledge of which would have made my aunt insufferable. Elliece could dissect my grandmother with a word. The tension was palpable on those visits. The competition between Elliece and her siblings was ever apparent. Elliece's grandchildren were our age and she was jealous of any gift or attention Nanny and Papa gave us. I sometimes think that is why she was there for those meals, not to help, but to stand between any bond that might develop. Because of Elliece's behavior my Aunt Elizabeth could not go to the University of Alabama, but had to attend Montevallo, where she was one of their beauties. My grandfather would not let her study medicine, but insisted she become a teacher. She took a business curriculum, but became a secretary, her form of rebellion. A short marriage to Dudley Hart ended in divorce . She stayed away from these family get-to-gethers as much as possible. The strain was not worth the trip. By two o'clock on Sunday afternoon, the long ride back to Dothan before dark brought us to our feet and the goodbyes overflowed onto the driveway as we packed into the car. After kisses all around and all the proper words, we headed back through the gate and down the road. Nanny stood there on that porch right where we'd first glimpsed her. Now looking back I realize she clung to the last sight of her only son, reluctant to return to the critical analysis that would ensue at the foot of that tester bed. In those moments she probably relived the time when that son had clung to her and was reluctant to leave home; a time when she'd had to break that unnatural dependency so that son could be a man. The bond was never really broken. When she died I watched my father sob. Thinking back now about the two houses facing each other one wonders whether the move across the street was truly progress. "Tis something akin to the immortals that makes us long not to be altogether unworthy of the fame of our ancestors." The story of our family in the twentieth century must begin with Wakefield. For years my grandfather, a country doctor in rural Wilcox County, Alabama, would get up and go out on the front porch of his house to look up the hill at the Steamboat Gothic plantation house across the street. The "Laura Gulley" place, otherwise known as Wakefield, had been moved piece by piece into "town" from the plantation several miles away down the Farmersville Road. The move across the street and his subsequent ownership of the plantation became a symbol of a change in status for the family that came to America as Quakers a part of the William Penn exodus from England. The ancestors of Elizabeth Knight whom Dr. Elkanah George Burson eventually married were also a part of that movement and came in the first wave of immigration to settle also in Pennsylvania and make their way South, as did the Burson family. Elkanah George Burson (1882-1970) studied medicine at Alabama College in Mobile and interned in New York at Bellevue Hospital, the College of Physicians and Surgeons. He practiced medicine in Furman until his death in April 1970. He was a handsome man who dressed dapperly until the day he died. His son, also a doctor who moved to Houston County after World War II, remembered the many nights someone would come knocking on the door needing a doctor to come make a call on a sick patient. He'd saddle up the horse, put on the Mackintosh to protect him from the rain, and ride out into the night. Cars like the one he drove in the picture couldn't make it down the rain slicked dirt roads. Favorite stories were of the patient who invited father and son to stay for supper. When the y noted that everything was being cooked in the same pot, the patient commented: "Well, it' s all going to the same place, aint it?" Another patient bought a new car and was forever out tooling about, riding hither and yon. Upon comment, the man replied: ""Doc, them wheel's i s made round for rollin'." He worked hard as a doctor and saved. His children remembered eating biscuits with only molasses for lunch at the one room school house they attended. E. G. Burson, Jr. vowed he'd be able to afford white bread one day so he could have a sandwich like the other kids. 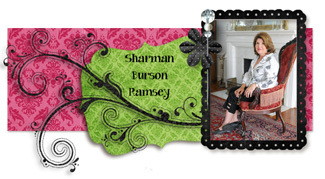 At the time of Dr. Elkanah George Burson, Sr.'s death he owned 8000 acres of land and a plantation house with an enviable collection of antiques he acquired in St. Louis, Savannah, Montgomery, and New Orleans. As the doctor for the railroad, he traveled for free and made friends with dealers in all of those areas after purchasing the Laura Gulley house across the street from the home he raised his children in (about 1939). He and his wife enjoyed traveling and collecting during those years. Elizabeth Knight Burson favored cut glass so she owned an exquisite collection at the time of her death. ii. DEWEY KNIGHT, m. BERNICE. iv. LANA ESTELLE KNIGHT, b. December 07, 1880; m. WILL ROMELL. v. LEON KNIGHT, b. December 16, 1881; m. LILY. vi. LAURA GULLEY KNIGHT, b. October 18, 1884.
vii. WILLIE CURREY KNIGHT, b. October 18, 1884.
viii. PATTI LEE KNIGHT, b. September 04, 1887.
ix. CONRAD WALNE KNIGHT, b. November 18, 1888. 35. CONRAD W.19 KNIGHT (LEWIS JACKSON18, EDWIN17, JESSE16, PETER15, JOHN14, JOHN13, ABEL12, GILES11, EDWARD10, JOHN9, JOHN8, GEORGE7, JOHN6, JOHN5, WILLIAM4, WILLIAM3, RALPH2, WILLIELMO1 KNYGHT) was born October 25, 1860, and died September 13, 1891.